As expected, Stage 2 saw Thor Hushovd and his Garmin Cervelo team win the team time trial and put the Norwegian into the yellow jersey. They covered the 69km course in a winning time of 24’48, finishing ahead of surprise package BMC, Team Sky and Andy Schleck’s Leopard Trek team (all 24’52). Alberto Contador and his SaxoBank team had an excellent rider to finish in a time of 25’, meaning that he only lost another eight seconds to rival Andy Schleck. Cadel Evans and his BMC team, with their stunning performance, came so close to putting the Australian two-time runner-up in the yellow jersey, which he had worn last year despite a hairline fracture to his elbow. Team Sky’s good performance ensures that Geraint Thomas continues to wear the white jersey for the best young rider, which he wore for four stages last year. 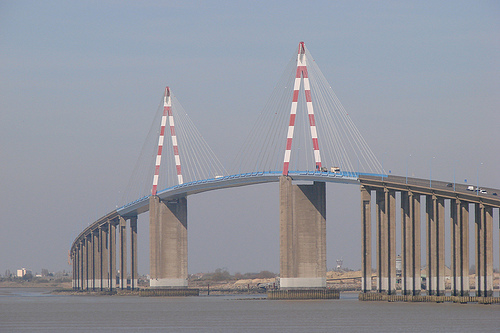 Stage 3 runs 198km from Olonne-sur-Mer, out of the Vendée, crossing the Saint-Nazaire bridge across the Loire River and into Brittany, finishing in Redon. It is likely to be the first stage that really suits the natural sprinters, given that there is little difficulty in the stage, except for the 3.3km long Saint-Nazaire bridge, which can often proved somewhat troublesome on a windy day. The 15-time Tour de France stage winner, Mark Cavendish (best price 4/5 with Sporting Bet), will be eyeing this stage as his first victory of the 2011 edition. He has shown his form recently by winning two stages of the Giro d’Italia as well as wearing the Maglia Rosa leader’s jersey for a stage. He has the best team behind him and, when on form, he is the best sprinter in the world by a comfortable distance. In order to prevent him from cruising to victory, his rivals must try and jostle and interrupt the HTC-Highroad train coming into the finish. Between Bernhard Eisel, Tony Martin, Matt Goss and Mark Renshaw, they have the perfect team to control the pace of the peloton and get Cavendish into the perfect position for the sprint and he rarely disappoints. Amongst the riders hoping to beat Cavendish to the line are Tyler Farrar, Alessandro Petacchi and Andre Greipel. Tyler Farrar (best price 8/1 with Paddy Power) has had a relatively disappointing year by his standards and only confirmed his place in the Tour with a solid performance in the ZLM Tour in Holland, winning only his fourth stage of the year. However, he was very disappointing in the Dauphine Libere, a well-known warm-up race for the Tour, where he was unable to post a single top five finish on any of the sprint stages. Alessandro Petacchi (best price 11/1 with Paddy Power) is defending the green points jersey that he won last year, when he won two stages. He performed well in the Giro, winning a stage and coming close to winning one of the uphill sprint finishes, but has admitted that his lack of racing in recent weeks means that he may struggle, although he is targeting this stage. Andre Greipel (best price 22/1 with Paddy Power) is a former teammate of Mark Cavendish, although they did not share the best relationship. Indeed, they were often involved in heated conflicts, meaning there is no love lost between the two. He has won plenty of sprint finishes in the past, including two stages of the Giro and four stages of the Vuelta a España, including winning the points jersey in that race in 2009. This is his first Tour de France and he will be hoping to start it in style. Outside of those four riders, the likes of Thor Hushovd, Edvald Boasson Hagen, Denis Galimzyanov and Tom Boonen may fancy their chances. Hushovd is an eight-time stage winner at the Tour de France, although he may prefer to take fewer risks tomorrow as he is defending the yellow jersey and he is likely to support his teammate, Tyler Farrer, rather than go for the win himself. 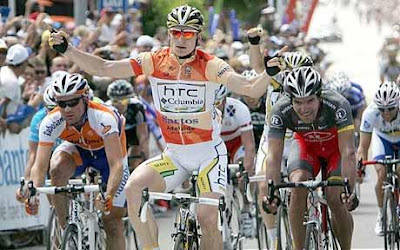 Tom Boonen is a six-time stage winner in this race, although his last stage win came way back in 2007 when he won the green jersey. He has the pedigree, although his best days are long behind him and he is unlikely to be a serious competitor. Edvald Boasson Hagen is riding in his second Tour de France and is considered one of the biggest rising talents in cycling. He has two stages wins in the Giro d’Italia to his name and had several decent results in this year’s Dauphine Libere. He is a big powerful sprinter, but questions remain whether Team Sky have the team to support him in a sprint finish against the top names. Finally, an interesting outsider is the Russian, Denis Galimzyanov. He has been a sensation this season, clinching multiple podium positions and beginning to cement his place alongside the very best sprinters, beating the likes of Tyler Farrar, Tom Boonen, Gerald Ciolek and John Degenkolb so far this season. Mark Cavendish will justifiably start the stage as big favourite. He is the undisputed number one sprinter at the moment, and if he is on his game, will be virtually impossible to deny. However, at these odds, it is difficult to see any real value. However, there are several other big names who will be right on his wheel and keen to pounce if there is any sign of weakness. Taking the each way option means that there may be some return even if Cavendish wins as expected.